Welcome to the only monitoring and time synchronization solution designed from the ground up to provide the information you need, when you need it, viewed on whatever device you choose. 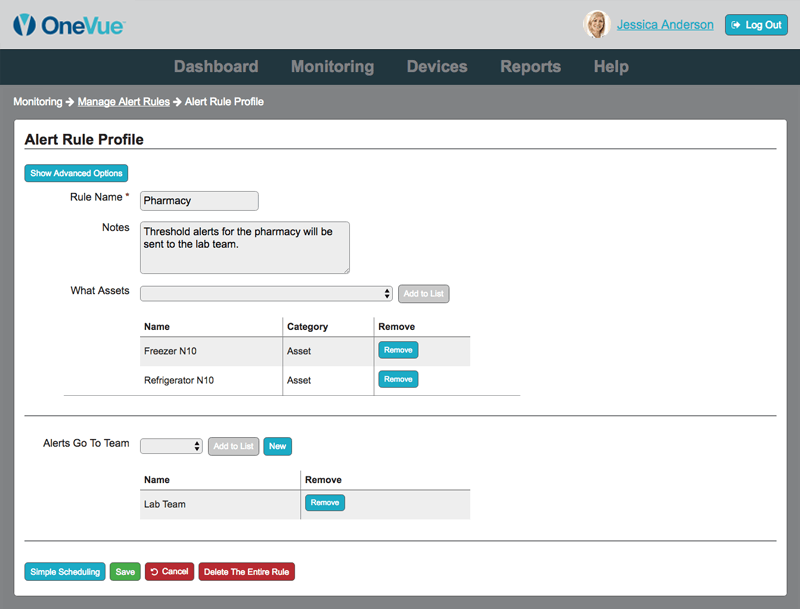 With simple, plug-and-play set up, customizable role-based dashboards and easily scaled architecture, OneVue keeps you on time, automates error-prone manual activities, maintains facility-wide compliance documentation, and maximizes productivity across your organization. 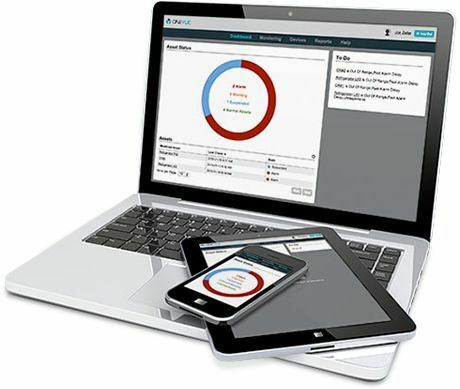 Web-Based Dashboard Standardize and manage your entire organization from the web. Local Network Only Devices and software are only accessible on premises. Wireless Mesh Technology Adhoc, device-to-device networking from a single bridge. Wired or Wireless Technology Increased network and device setup time. Lower battery life. Individual User Management Customize access levels by role, business unit, or location. Limited User Management Access level based on shared group password. Minimal IT Required No servers to install. Devices arrive preconfigured. Substantial IT Required IT needed to install and maintain devices, server, and software. No Software Updates Cloud-based web app is always up-to-date with new features. Ongoing Software Updates Locally installed software requires manual updates. Banking-Level Data Security AWS platform delivers banking-level security and encryption. Reduced Data Security Data is only as secure as the local network and software. Exceeds Compliance Requirements OneVue surpasses all industry compliance requirements. Compliance Levels May Vary Ask vendor if software meets your compliance needs. Uses a high-penetration frequency to talk to devices throughout a building or campus. A smart IOT device for building automation. 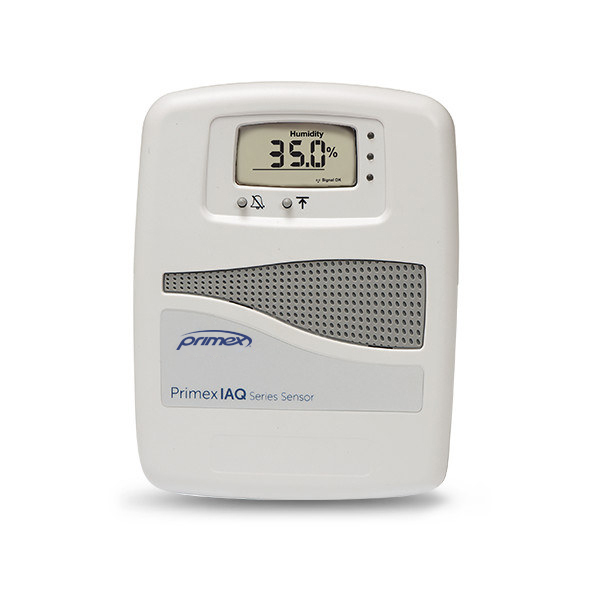 Take the sweat out of temperature & humidity monitoring to create a safer, more comfortable environment for patients, staff and visitors. Log into OneVue from any desktop or mobile device to quickly and easily set up your network identity, designate users, configure your devices, and create alerting parameters and rules. When new devices arrive at your facility, simply power them up and hang in place. 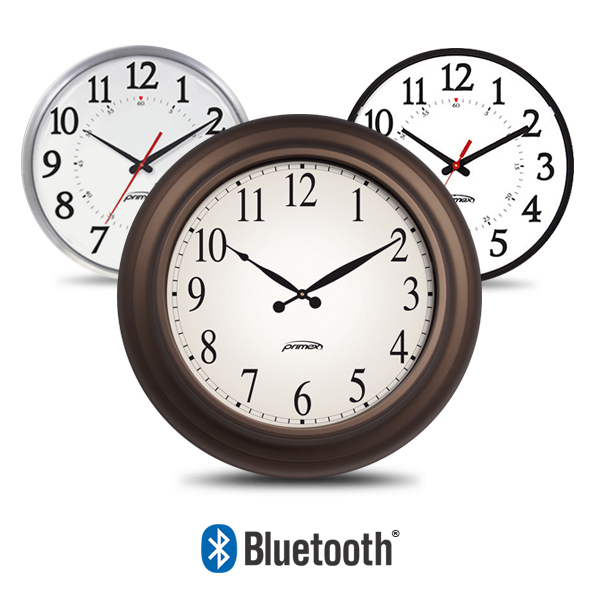 As soon as a device is installed and has acquired a network signal, the clock will synchronize, or the sensor will begin monitoring. 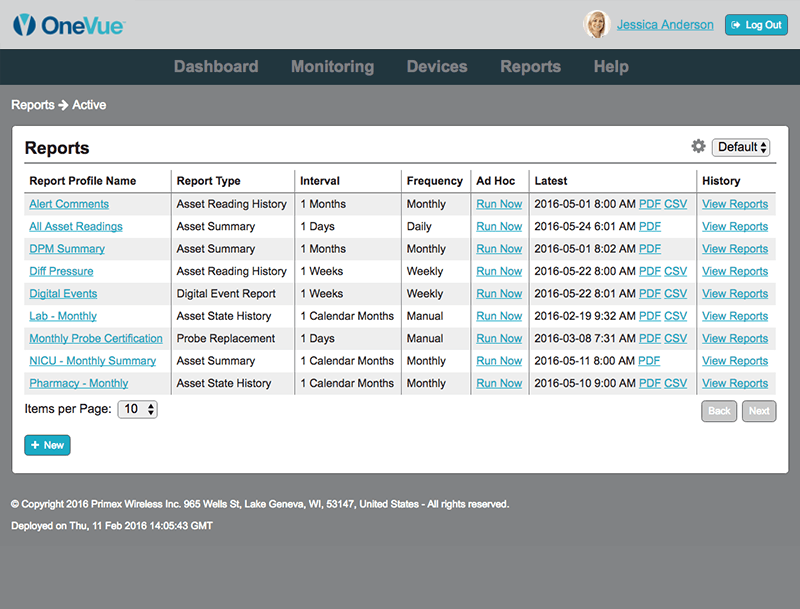 OneVue will display the status of monitored assets and clocks, items needing attention, and to-do lists individualized for each user. 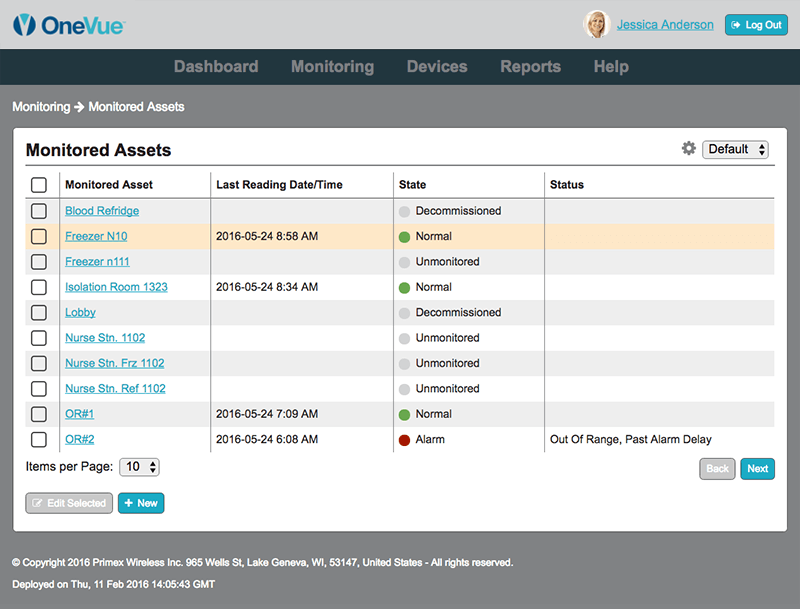 Primex OneVue ties historical data to the monitored inventory, equipment, or room — NOT the device itself. You'll have a continuous picture of compliance to all applicable requirements, even if assets are moved or sensors are switched. OneVue clocks and sensors can be easily added, moved and changed as your organization evolves, making Primex the ideal choice for healthcare systems, school districts, and growing businesses that are planning years into the future. Hospitals, clinics, and pharmacies rely on OneVue to protect temperature-sensitive inventory, synchronize clocks and timers, and ensure quality patient care. Sail through compliance audits with complete and accurate documentation. Primex enables schools to leverage district and campus-level maintenance to lower costs. Centralize clock synchronization, schedule bells for every school, and eliminate manual processes across all your facilities with the OneVue platform. On-Demand Reporting Export data for compliance reports or regulatory audits with just a few clicks. Custom Thresholds and Alerts Set unique parameters for each individual device or groups of devices at one time. 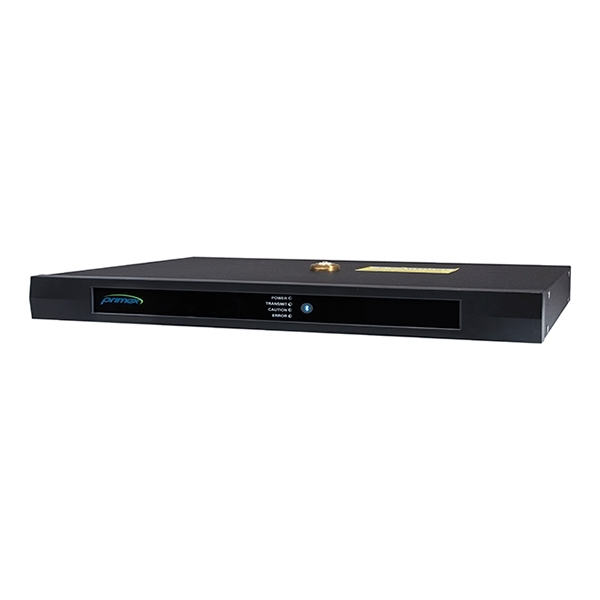 Powerful Convenience Get going in minutes! Sensors arrive ready to immediately communicate with the OneVue™ cloud application.